1. In a large pot of boiling salted water, cook pasta until al dente. Once it is done, drain it and run cold water over it until cold. Let drain and put in a large mixing bowl. 2. 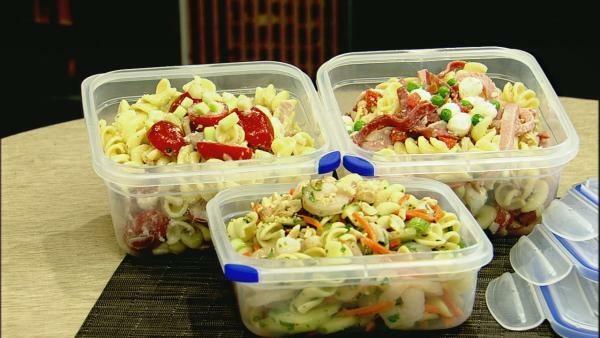 Mix pasta with remaining ingredients and refrigerate until needed.